Someone is going to get their A$$ sued!! wow! Thats a major law suit. I am sure the officer will be found at fault for that. He should of paid attention to the turn signals. Hopefully noone was injured. Any more info on the story? At the moment he hit that car he should have been a good 30* into that turn already. He prolly would have never made that turn anyways! Here is some info i googled. More info i dug up.. The officer had the "right of way" and blame was pushed on the other car. I highly believe this should be the officers fault! On a single lane road you only pass a car if you can pass them going the speed limit. EIther way the cop should have slowed down to pass. The Washington County Crash Analysis Reconstruction Team (CART) recently released their findings from an investigation surrounding a crash involving a Tigard Police patrol vehicle. The incident occurred on September 3, 2011 at approximately 8:20 p.m. at the intersections of SW Walnut Street and Watkins Avenue in Tigard. 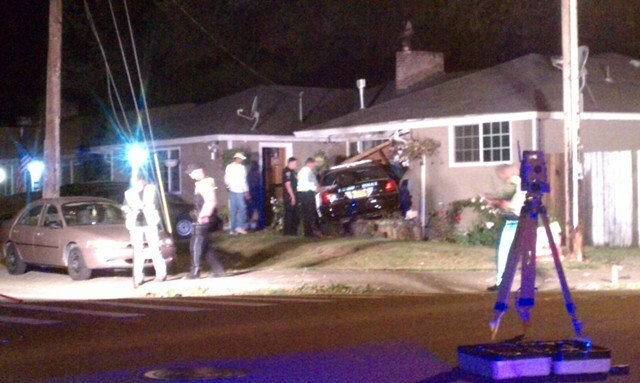 The Tigard Police officer operating the vehicle was en route to an emergency call at the time of the crash. CART is a multi-agency team of specially trained law enforcement officers from the Washington County Sheriff's Office and the Beaverton, Cornelius, Forest Grove, Hillsboro, King City, Tigard and Tualatin Police Departments. The Washington County District Attorney's Office has also assigned deputy district attorneys to the team. After watching more closely the sirens were off until he was just about to pass that car! It also sounds like he was at the top of 3rd gear. That dude was hauling @$$!!!!!! And of course it is the civilians fault! With those Bright @ss LED lights they have now its hard to tell which lane they are in when they are behind you. But I like how he is haulin balls in the opposite lane, when he just went over a double yellow line, but its old man rivers fault. Sometimes are law system boggles my mind. Now that old man is liable for all that property damage to those peoples yard and house. I wonder who paid for the house damaged! I'm sure they pinned it on the drivers insurance. The officer never had any sobriety or drug test after the accident either. Subject: Re: Someone is going to get their A$$ sued! !